The founders of Corkcicle are out to change how you drink everything from water to wine and whiskey, and they’re doing it right here in Orlando. And that is how Corkcicle began. “I wish that’s how it started,” Hewitt, 44, says with a laugh. Humorously, that faux origin story was actually relayed to him by some people he had just met who hadn’t realized that they were talking to the creator of Corkcicle himself. The idea for Corkcicle really began in November 2010. An avid chardonnay drinker, Hewitt thought there must be a better way to keep the bottle cold that didn’t involve a messy and drip-prone ice bucket. So he bought a test tube from Uline and a gel ice pack from Publix. He cut the gel pack open, put the contents of the pack into the tube and plopped a Kendall-Jackson cork on top. After being frozen, he stuck the contraption in a wine bottle and it kept the wine cold for about an hour. Stephen Bruner was the one who came up with the name. 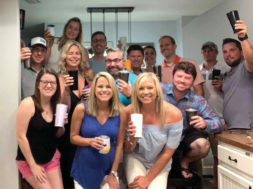 A friend of Hewitt’s for 13 years, Bruner, who is a partner at Corkcicle, oversees all the marketing and product development. Although, he didn’t exactly foresee the business’s current success when Hewitt first proposed the company’s flagship product. With the blessing of good timing, Eric Miller, another friend of Hewitt’s, was looking for a new business opportunity when Hewitt came to him with the idea for Corkcicle. Miller, who is also a partner in the business, now oversees all the sales and distribution. “So, the three of us kicked off the company,” Hewitt says. 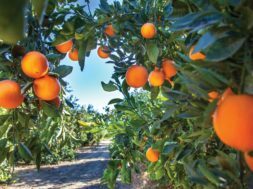 Hewitt, Miller and Bruner were soon meeting with ABC Fine Wine & Spirits and taking their act on the road to exhibit at wholesale markets and shows. 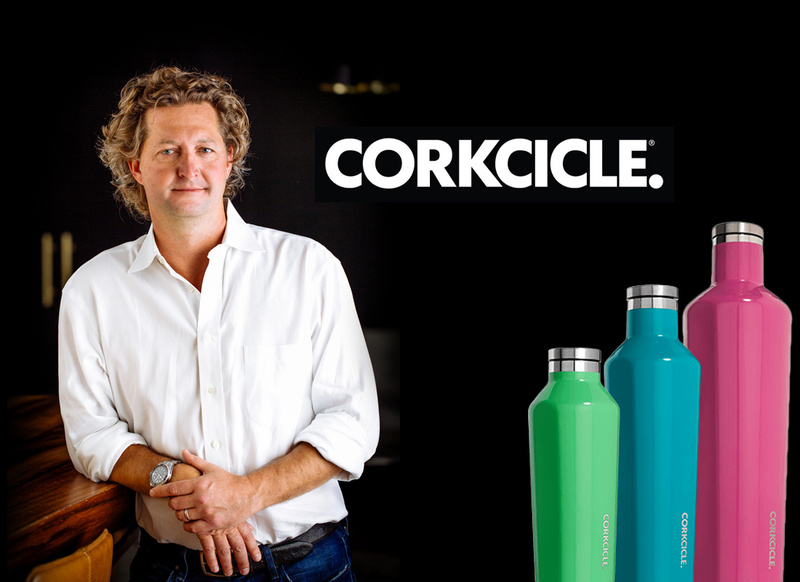 “That first holiday season we sold roughly 300,000 Corkcicles,” Hewitt says. At one of these showcases, Hewitt overheard someone talking about Corkcicle saying that it wouldn’t last if the company didn’t bring on new products. “So, we took that to heart,” he says. And that led to the creation of Corkcicle’s other drink products including the Chillsner, which will keep your bottled beer cold from inside; the Arctican that will keep your canned beverages chilly; and the stylishly crafted Canteen, which keeps your beverage cool for up to 25 hours or warm for about 12 hours. More recently, the company debuted the Whiskey Wedge, which will chill your liquor in the glass without watering it down as quickly as traditional ice cubes. 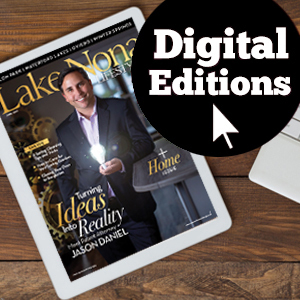 “We want to continue to be innovating,” Hewitt says.